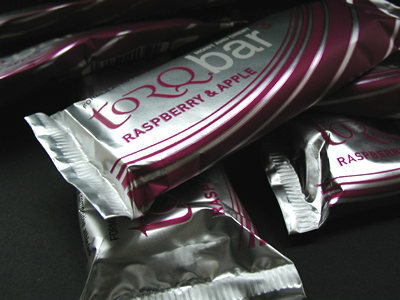 TORQ bar 3 (Raspberry & Apple) contains a delicious blend of raspberry and apple, a flavour that really zings off the tongue. 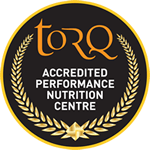 None of the TORQ bars contain any added flavourings, preservatives or sweeteners, just the natural taste of the fairly-traded fruit contained within them. 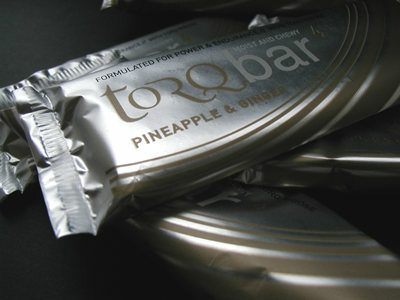 TORQ bar 4 (Pineapple & Ginger) has had a bit of spice added to it. If you like ginger nuts, you’ll love TORQ bar 4 and at only 2grams of fat per 100grams of product (a characteristic of all TORQ bars), they serve as an excellent high carb/low fat alternative. Finally, as with TORQ bars 1 & 2, both of the new TORQ bars contain TORQ ribose, a natural sugar providing enhanced post exercise muscular recovery. We have had to adjust the pricing of the TORQ bar range to account for various factors including the price of fairly-traded fruit, which we consider an essential component and true to TORQ’s ethos, a rise in production costs and the fact that we want to encourage retailers to stock our product.  It is vital that we sell TORQ bar at a price that the retailers can also afford to sell at, or shops will be reluctant to stock our products and they will not become widely available to all. 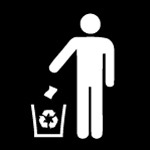 PLEASE NOTE: WE DO NOT CHARGE FOR DELIVERY TO UK DESTINATIONS, so the price you see in the shop is the price you pay. No charges are added at checkout. To buy TORQ bars and for further information click here. For a list of local stockists, click here.